The family of ‘loving’ teenager who died this week have paid heartfelt tributes to the young lad - and started a crowdfunding campaign to help pay for his funeral. Alex’s father, also called Alexander, paid tribute to his son who died after police and paramedics were called to a house on Fleet Street in Holbeach in the early hours of Saturday morning. Lincolnshire Police said a girl (15) and two men (both 19) were arrested for drugs related offences following Alex’s death. Mr Buchan, 60, a company director, last saw his son on Friday evening. The cause of Alex’s death has not yet been confirmed. A Lincolnshire Police spokesman said: “Officers were called to an address in Fleet Street, Holbeach, in the early hours of Saturday morning. “A 14-year-old boy was found dead at the scene and his family have been informed. 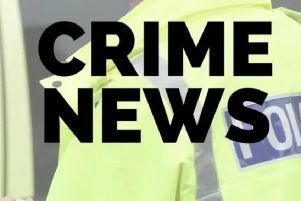 “A 15-year-old girl and two 19-year-old men were arrested on suspicion of drug-related offences and have been released on bail. “I’m sorry I wasn’t by your side but know that I always loved you with my whole heart and I never wanted to see you hurt. “Thank you for being the best brother a girl could ever have and we miss you terribly. A spokesman for East Midlands Ambulance Service said: “We received a call at 12.56am on Saturday to a private address in Holbeach to assist with a medical emergency.